Ogof Ffynnon Ddu, South Wales. What a cave!!! Filmed on Saturday just gone. Wrote the music and edited on Sunday. So many highlights: The air-walk, the letterbox, the streamway, the dodgy climbs, the pots in the stream, the huge caverns,the formations. Can't wait to go back. Hope you enjoy the video. For your delectation and delight the latest production from the Dudley Caving Club Film Unit has just been released. A excursion to Moss Chamber in Peak Cavern is one of the UK's classic caving trips. Here is two of videos from a couple weekends back, when Aberystwyth Caving Club visited South Wales. The first video shows the Ogof Daren Cilau through trip, while the second trip is of Ogof Craig Y Ffynnon. Hope you all enjoy them and let me know what you think. Dudley Caving Club has two talented cave photographers, Mark Burkey and Brendan Marris. Over the years they have both taken some amazing cave photographs (many of which have appeared on UKC), but when a trip to Ogof Gofan was being planned they both decided to try and capture something a little different. A shortly to be released video will document their success, or otherwise, in pushing the boundaries of cave photography, not the mention pushing the patience of their victims models. Consummate photographers they might be, but put them in front of a video camera and . . . . . . well best watch this short promo video and judge for yourself if their projects stood any chance of success. The release date for the finished video is scheduled for Monday 28th September 2015. Last time he went caving Keith had a nasty fall which resulted in a 3 week stay in the major trauma unit in Southmead Hospital, Bristol, where 3 surgical teams assembled around his bed and vied to be first to get him into the operating theatre, and where this conversation was overheard, "Caver Keith, caver, a man barely alive. Gentlemen and ladies, we can re-build him, we have the technology, we have the capability to make the world's first bionic caver. 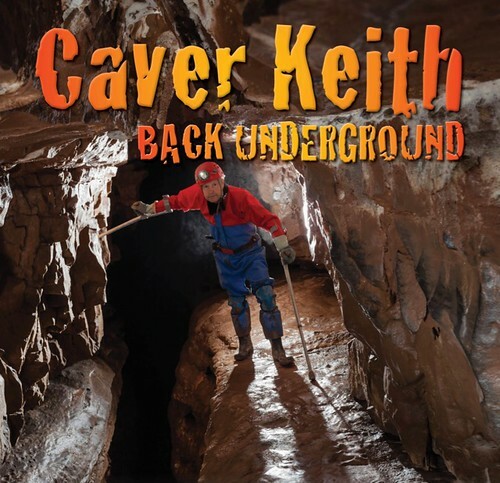 Caver Keith will be that caver, better than he was before, better, stronger, faster." What cunning plan do they have to get him back underground? Does it succeed? What could possibly go wrong? Or was it all a dream after all? New pot found this summer in weardale, conservative estimate of about 20 meters deep at the moment but links to another large aven at the bottom and appears to have some horizontal development. Can some explain how to post videos and make them appear as an image rather than just a link. It has not been possible to embed videos in this thread for several years as any attempt to do so using the 's' removal technique results in a system generated message saying that the embedding has been disabled due to a limit having been reached. It is possible to embed videos in most other forums. In order to play embedded videos the Adobe Flash player needs to be installed and an increasing number of people are rejecting Flash due to its vulnerability to malware. For more information read http://www.computerweekly.com/opinion/Why-HTML5-must-replace-Flash, however this forum software does not currently support HTML 5. You sound much more knowledgeable than I am on this subject, but the video embeds in my post above on my browser...is that not the case for everyone? I've had the embedding limit reached message for some time now. I had assumed it applied to every forum user but apparently it doesn't. It looks like it's over to the tech team now.